The double bill that’s in store is a treat and a rather special one as showcased by the Birmingham based and incredible Stoney Lane Records label. The company was created by guitarist and co-founder of TG Collective, Sam Slater. Sam tells me briefly there will be far more extensive touring around the UK and Europe from early next year to support a new album release in the spring. There will be more gigs planned, especially in London perhaps at Ronnie Scott’s, I suggest? (I jump with joy at the thought! That would simply be awesome). Having started a label company of course was not the only plan Mr Slater had in mind; he is involved in other ventures, like working closely with the Town Hall & Symphony Hall Birmingham, to name one. TG Collective takes the stage first soon after 8pm with 7 musicians ready to amaze. The stage is filled with talent. The audience awaits. “Release the Penguins” from TGC’s 2012 album opens the show and it is a joy to be sitting in a room whose acoustic is so perfect to re-emphasize and amplify the powerful sound of this band. TG Collective, with their signature eclectic sound full of gipsy jazz, flamenco influences and classical tones have strength and fluidity and if “Release the Penguins” is an excellent opener, then “Silhouette” is a mighty follower echoing the beautiful sounds of the Orient. On “Songe d’Autumne”, Luis Mather’s clarinet is refreshingly good, but then “Sutta” follows, being a track of the most fragility and power at the same time, written by Bryan Lester, TG Collective’s guru apart from being a guitarist, pianist, composer, arranger and trainer as well. He has written and co-written a few tracks on TGC’s “Release the Penguins”. With “Absurdist Cartoon Variations #7” as composed by Jamie Fekete (TGC other wonderful guitarist), we enter the realm of originality and innovation. A couple more tracks follow, “Grasshopper” which the band have not performed live before and “Donuts” where there are only 4 players left on stage, a double bass, 2 guitars and a violin. Fabulous rendition. Mr Percy Pursglove on double bass has to be given special mention and not just because I am slightly bias towards the instrument in general, but because he IS amazing at his playing, a creator of special effects. The band finishes with “Astounding Eyes of Rita” into an arrangement of Paco de Lucia’s “Zyryab”, Sam Slater on oud offers a great improvisation of oud composer and player Anouar Brahem’s eponymous album track of 2009 on ECM Records, the iconic German jazz label, the album recorded in 2009 in Italy. Note to the reader: Brahem’s album is astounding, a must listen (my favourite track being: “Waking State”). Another special mention is due to Joelle Barker on percussion. An incredible player. We need to see and listen to TG Collective: their innovative sound, their skills together with their fabulous imaginative writing deserve the grandest praise. More please! … Never has a show been so enticingly addictive. “Jump to the last track, The Sheik of Araby and you’ll see that they can let their hair down. The flamenco-inspired TG Collective won plaudits as Trio Gitano. Their updated, expanded line-up, with the acoustic guitars of Jamie Fekete and Sam Slater balanced by flute, violin, double bass and discreet percussion, sounds more assured than ever. From gypsy swing to hustling, Chick Corea-ish improv, a re-working of Horace Silver’s Song For My Father and serene excursions into the baroque, the playlist always keeps you guessing. And the telepathy is always tuneful. “Release The Penguins is performed with impeccable musicianship. It opens with the title track, reminiscent in atmosphere of Django’s Rhythm Futur, providing a steel-strung Gypsy jazz delight. Then suddenly we are in Spain with the second track, Silhouette. This features nylon-strung guitar played with masterly flamenco and classical guitar technique. The steel/nylon manouche/flamenco duality from the two guitarists, Jamie Fekete and Sam Slater, runs as a thread through the whole album. There are a couple of stunning flute solos from Holly Jones, particularly on Horace Silver’s Song For My Father, but most of the music is composed, highly arranged, and draws on a multitude of influences. Louis Robinson plays violin and Percy Pursglove adds double bass to complete the core cast. In addition Percy also contributes trumpet, Tom Chapman and Joelle Barker provide cajon where required, and Laura Moody plays cello. With two exceptions, the music is written by members of the collective, or their associates. The musicianship of the players provides some glorious sounds and textures. There is certainly some beautiful and emotional music on this album … the eclecticism sometimes feels like listening to a soundtrack without the pictures. This is different and interesting. And did I mention the impeccable musicianship? 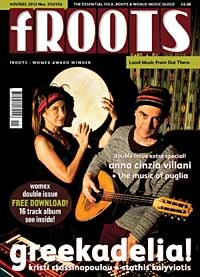 “Gypsy jazz, flamenco and modern classical styles dance enticingly from the twin guitars of Jamie Fekete and Sam Slater, who in TG Collective are joined by double bassist and trumpeter Percy Pursglove, flautist Holly Jones, violinist Louis Robinson and percussionists Joelle Barker and Tom Chapman. This debut shows why the band have played live on the BBC, at the Cheltenham Jazz Festival, Pizza Express Soho and on London’s South Bank to acclaim. “Food and music-lovers headed to Alex James’ farm last weekend for the second year of Jamie Oliver’s, ‘The Big Feastival’. 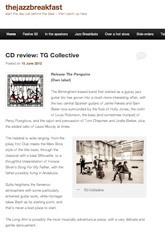 “One would need a Large Hadron Collider to discover the single unknown something that makes TG Collective’s RELEASE THE PENGUINS the infectious little treasure that it is. There is so much at play here – from the madcap title track that is as much Raymond Scott as it is Django Reinhardt to the flirtatious flamenco of Silhouette; from the intricate mystery of Sutta and Homage to the dramatic, somewhat filmic complexity of The Long Arm. The mix of gypsy-style guitar, flute, percussion, bass and the occasional trumpet creates, at once, a full yet attractively sparse sound that pulls you toward the music rather than bringing it to you. “Flamenco, jazz and gypsy-swing mingle together in the world of the TG Collective, a guitar-led sextet from a British city with a thriving home-grown global music scene – Birmingham. The collective grew out of Trio Gitano, a successful acoustic guitar trio, and Release The Penguins is the first release for the bigger group, which also features violin, trumpet, flute and percussion. Guitarists Jamie Fekete and Sam Slater are the driving force behind TGC and theirs appears to be a longstanding musical relationship. Not only do they play together with pinpoint precision but they share writing credits on some of the record’s finest tracks: the Django Reinhardt-inspired title-track, flamenco piece ‘Escape From Girona (Part II),’ and the JS Bach tribute ‘Homage’. “This follow-up to their 2005 album ‘Who Ate All The Tapas?’ sees the original Trio Gitano expanding into a collective that incorporates flute, fiddle, double bass, trumpet and percussion. Based around the two guitars of Jamie Fekete and Sam Slater (the other original band member, Sophie Johnson, left in 2006 to follow other musical pursuits), the broader textural palette makes for a very tasty gumbo indeed. “The Birmingham-based band that started as a gypsy jazz guitar trio has grown into a much more interesting affair, with the two central Spanish guitars of Jamie Fekete and Sam Slater now surrounded by the flute of Holly Jones, the violin of Louis Robinson, the bass (and sometimes trumpet) of Percy Pursglove, and the cajon and percussion of Tom Chapman and Joelle Barker, plus the added cello of Laura Moody at times. The material is wide ranging, from the jokey Hot Club meets the Marx Bros style of the title track, through the classical with a beat Silhouette, to a thoughtful interpretation of Horace Silver’s Song For My Father, with the father possibly living in Andalucia. Sutta heightens the flamenco atmosphere with some particularly entwined guitar work, while Homage takes Bach as its starting point, and that’s never a bad place to start. The Long Arm is possibly the most musically adventurous piece, with a very delicate and gentle denouement. There are strong contributions from the whole band, with Holly Jones turning in some very nice solos – on Song For My Father, especially – and the rhythm team hunkered down and tightly groovy, but the heart of TG remains the exceptional two-as-one guitar pair of Fekete and Slater. The album ends as it had begun – on the sunnier side of this particular flamenco jazz street. Bassist Percy Pursglove switches to trumpet with Fekete and Slater in seriously jolly mood for The Sheik Of Araby. All that’s missing is flamenco dancer Ana Garcia, who often appears with the band in performance. 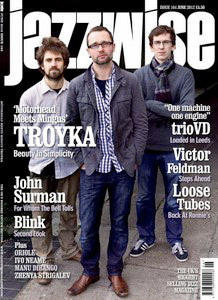 “When Trio Gitano split following the departure of Sophie Johnson, fellow guitarists Jamie Fekete and Sam Slater founded TG COLLECTIVE, bringing in Percy Pursglove on double bass and trumpet, flautist Holly Jones, Louis Robinson on violin, and percussion/cajon players Tom Chapman and Joelle Barker. Not to forget flamenco dancer and choreographer Ana Garcia, though she doesn’t get much to do on self-released debut CD Release The Penguins which also features Laura Moody on cello. Flamenco, Gypsy Jazz, Jazz and Classical provide the musical templates with Paco de Lucia and Django Reinhardt obvious influences, the latter notably so on the opening title track, alongside Bach whose Chaconne provides the inspiration for the twin guitar Homage. A mix of self-penned and arrangements, band originals Silhouette and Escape From Girona showcase their flamenco passions, Song For My Father sees them take on Horace Silver, Sutta’s a fine intricate piece by TG Guru Bryan Lester who also wrote the guitar scampering On The Run and the avant jazz styled The Long Arm and Fekete’s Not A Waltz is a dramatic gypsy number. URBAN FOLK QUARTET, TG COLLECTIVE. TWO GREAT BANDS. FOLK, JAZZ, LATIN, WORLD. YOUR CALL. New CDs launching this and next month. Shared musicians and connections. Academic rigour, passion and skill. New nujazzfolk albums abound in Birmingham this spring. They’re all different, but with common threads. The musicians all work with each other, for a start. Tracking who plays where is bewildering. It’s musical promiscuity of the highest order, and as always with promiscuous behaviour – let’s put this delicately – cross pollination will take place. I think I’ll stop exploring that analogy any further before I get into trouble. Both bands here are as much into Jazz as they are Folk. The key is experimentation, adventure, and a lot of fun on the side. The danger is that we take this brave and appealing work for granted. Please, don’t ever do that. Savour it; appreciate it, support it if you like; but don’t take it for granted. 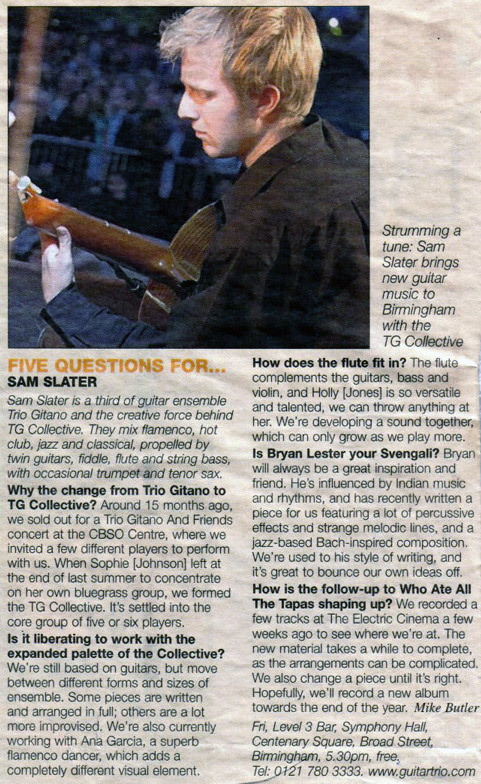 […] The TG Collective grew out of the Birmingham based guitar trio Trio Gitano featuring Jamie Fekete and Sam Slater. The trio’s 2005 album “Who Ate All The Tapas?” was a surprise commercial success and since those days Fekete and Slater have expanded the group adding bass, percussion, flute and violin to form the extended TG Collective. 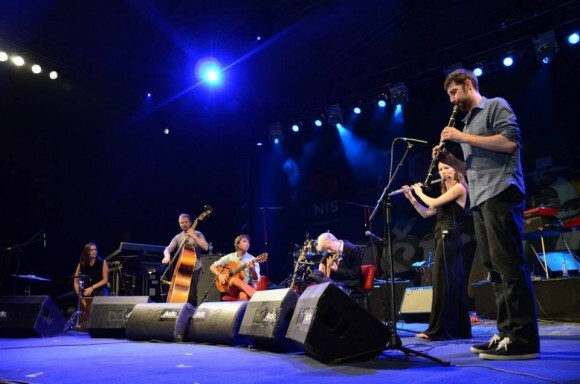 The group’s influences include jazz (particularly the music of Django Reinhardt), flamenco and contemporary classical with the flamenco side of things becoming increasingly dominant. Some Of TG Collective’s performances are enhanced by the fiery flamenco footwork of dancer Ana Garcia. For today’s performance Fekete and Slater returned to a trio format augmenting their guitars with the double bass, trumpet and cajon of Collective member Percy Pursglove, co- founder of the Harmonic Festival. The trio produced an eclectic programme that ranged widely and drew on many of their collective influences. Thus Django’s “Minor Swing” and “Minor Blues” bookended J.S. Bach, Pursglove switched between trumpet and bass for Horace Silver’s “Song For My Father” before moving on to cajon as the group expressed their flamenco leanings. Day Two in the Mostly Jazz house(/park). If Day One was all about the jazz-funk and the blistering drummers, Day Two was all about the jazz-jazz and prodigious guitarists. As always, the Cheltenham Festival takes a generous view of jazz, stretching all the way from rockabilly (Imelda May) to gospel (the Ruach choir) to salsa (the Alex Wilson Salsa Orchestra) to flamenco (the TG Collective). There are genre-bending musicians like clarinettist Don Byron, who fuses funk, rhythm and blues and klezma, among many other things. There are big names, such as American trumpeter and composer Dave Douglas, who always brings a refreshing new take on a well-worn tradition (not always a jazz one). Other acts include singer Madeleine Peyroux (below), bringing songs from her new album Bare Bones, and on the last night Nigel Kennedy with his impressive all-Polish quintet. Lea DeLaria, lesbian stand-up comic and gravel-voiced singer, will be lowering the tone while tugging hard on the heartstrings. Just as enticing are the younger British bands. There’s the Mercury Award-winning Portico Quartet and, at the opposite pole to their gentle, musing tone, the fierce, punk-inspired energy of Get the Blessing. Finding the right place to wind down after a hard week’s work can be tricky on a Friday, what with most bars gearing up for the more pre-weekend festivities. Luckily, Symphony Hall is offering a safe haven today with the smooth gipsy jazz of the TG Collective. The fact that the group had to initially reschedule this date because they would be playing in Barcelona tells you all you need to know about their talents; Sam Slater and Jamie Fekete’s duelling guitars never miss a beat, and the added bonus of flamenco dancer Ana Garcia should give this gig the perfect visual dimension. Although it was cold and wet in Bury last night, those who saw the TG Collective were whipped away to sunnier shores. You could almost smell the tapas and feel the warm breeze on your face. Originally a trio, Trio Gitano now has two acoustic guitarists – Sam Slater and Jamie Fekete – who have brought three other musicians with them. It began with an acoustic Spanish piece played with fiery expression and brightened by Holly Jones’ flute. All underpinned by Percy Purseglove on double bass. Then the players invited Louis Robinson to add his violin to the mix. The young musicians had loads of connection with one another, playing with verve and energy. It was particularly nice to hear the two guitars with no accompaniment for Take 5. And Blues and Jazz, these guys played it all, with great aplomb. On Friday the now expanded Trio Gitano, who go by the name of the TG Collective, bring some nu-Django jazz to the foyer bar in Symphony Hall. 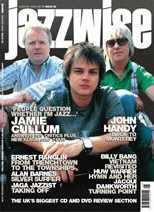 At the heart of the band are acoustic guitarists Jamie Fekete and Sam Slater, but the addition of a moving personnel which can include Percy Purseglove on bass and trumpet and Ray Butcher on trumpet as well as strings and flute, give the band a lot more scope and have broadened their jazz influences considerably. These Rush Hour Blues sessions are one of the great success stories of Birmingham’s burgeoning jazz scene over the past few years. It’s now vital to get there a bit before 5.30pm if you want a seat, which is as good an excuse as I can think of to slope out of work early. * If you have any news or views you’d like to share, email me at peterbacon@mac.com. The blog is at www.thejazzbreakfast.blogspot.com. Forget the weekend – that’s for quiet times. Week nights are when you need to be out and about this week, with a cracking three-in-a-row from Birmingham Jazz, all featuring young bands. First up is the TG Collective, Trio Gitano with a new and expanded line-up. With TG regulars Sam Slater and Jamie Fekete on guitars are Percy Pursglove and Ray Butcher on trumpets, Holly Jones on flute and Louis Robinson on violin. And there’s a bit more jazz about the sound and music now, so I’m told. The TG Collective is at the Jam House in St Paul’s Square from 9.30pm tomorrow, and entry is free. On Wednesday it’s the turn of saxophonist Ed Johnston and a new project called A Heart’s Tale. Ed leads a quartet of Hans Koller on piano, Ryan Trebilcock on bass and Doug Hough on drums, with Black Voices singer Genevieve Sylva and multi-wind player Jan Hendrickse joining as special guests. Johnston is a formidable and highly original tenor player familiar from many West midlands bands, Conservatoire bands, Walsall Jazz Orchestra and more recently Sugar Beats. This project – a Birmingham Jazz commission – lets him showcase his compositional skills with a piece inspired by Sufism and gospel music as well as jazz. The Stratford Music Festival again had a wide range of genres, including a fair smattering of jazz, and Sunday’s appearance by the Trio Gitano Collective at the White Swan almost encapsulated that range on it’s own. As the name suggests, there are normally three of them, all acoustic guitarists, but one has had to stop playing on doctor’s orders, leaving Jamie Fekete and Sam Slater to soldier on. Their response to this adversity was, it turns out, an inspired one: they roped in some of their friends from the young musical talent available on the Birmingham network, did some new arrangements, and rebranded themselves as the TG Collective. This was their live debut in this form, and it worked brilliantly. 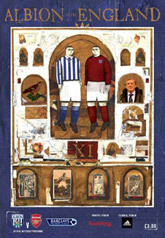 Stylistically, they cover a lot of ground, demonstrating equal skill in all styles. They started with a Paco de Lucia flamenco piece, played with real passion and rhythmic drive as well as quite astounding technique. At first they were augmented by Percy Pursglove on double bass and Holly Jones on flute, then the latter was replaced by Louis Robinson’s violin for an early Django Reinhardt number, a slow blues that changed abruptly into a fast swing tempo. There was a further addition to the sound palette when trumpeter Ray Butcher took the stand for a Latin-infected version of Horace Silver’s Song For My Father, then it was back to basics as Sam and Jamie closed the set with an an-adorned duet. The second set was if anything more diverse, starting with dramatic flamenco flourishes and a two trumpet fanfare (Percy is one of those annoyingly gifted people who are not content with being very good at just one thing). This eventually resolved itself into a long medley based around Rodrigo’s Concierto de Aranjuez, better known to jazz fans as the main track on the classic Miles Davis album Sketches of Spain. The complex arrangement and the skill of its execution made it hard to believe that this wasn’t a well-established band with a fixed personnel. Another standout was a genre-shifting run through Dave Brubeck’s famous Take Five. By this point they’d been joined by yet another talented young player, Chris Morgan on tenor sax, and at the end all seven were involved. A standing ovation and loud demands for an encore produced their final masterstroke – a medley of Ennio Morricone spaghetti-western themes that was by turns stirring and tongue-in-cheek. The Stratford Music Festival seems to get better every year, and it’s wide-ranging policy is admirable. Over the fortnight there are numerous concerts on offer in a variety of styles, many of them featuring prestigious names, but I doubt if many (or even any) of them will exceed this in terms of sheer enjoyment. How best to honour the memory of that Gypsy legend Django Reinhardt? The most common response — and it’s a perfectly valid one — is to produce facsimiles of the Hot Club de France. Reinhardt’s ghost also walks the earth in the shape of the virtuoso Biréli Lagrène, while the success of the annual Midlands festival L’Esprit Manouche proves that the spirit of Gypsy swing burns as brightly as ever. The young members of Trio Gitano take a more formal approach, yet one that produces equally interesting results. Strictly speaking, this is not a jazz group at all, and Django represents just one part of the repertoire. Jamie Fekete, Sophie Johnson and Sam Slater still have one foot firmly planted in the classical tradition. Their debut album, one of my favourites of last year, patched together a bewildering but thoroughly engaging mix of styles, from flamenco to Dave Brubeck and the intricate Baio de Gude, a dazzling piece by the Brazilian Paolo Bellinati. I’ve long considered myself allergic to cover versions of that Classic FM warhorse, the Adagio from the Concierto de Aranjuez, yet the Trio’s Miles-ish treatment — graced by the trumpeter Bryan Corbett — won me over in the end. What sets the group apart is that, although the emphasis is on precise ensemble work, personality still shines through. Johnson’s poise and reserve make an intriguing foil to her more freewheeling partners. Together, they were perfectly suited to the task of giving “Djangology” an intelligent but full-blooded makeover. 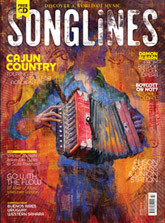 If one or two of the other more traditional items — such as the opening Saeta — had a slightly generic quality to them, the new arrangement of Horace Silver’s Song for My Father was wonderfully elastic, the funky pulse handled with enormous delicacy, helped along by some unobtrusive flamenco figures. At the close of the set the players plunged headlong into Paco de Lucia’s Entre Dos Aguas. Stylish, very stylish. The three guitarists of Trio Gitano (Jamie Fekete, Sophie Johnson and Sam Slater) have probably spent more time in Birmingham’s Bullring than anyone you’d find in Spain. But that doesn’t stop their debut from oozing with cool Gypsy jazz. They met as members of the Birmingham School’s Guitar Ensemble, started touring as a trio in 2001 and finished recording this album in October 2004. It’s a hugely impressive collection that draws from flamenco, Latin and Gypsy jazz. The album launches straight in with the ‘Latin Swing’, by musical director Bryan Lester. It’s a piece that clearly sets out this group’s strengths: bold, expressive playing that’s liberatingly inventive. And that’s an important quality when you’re young players treading some well worn ground. There’s Django Reinhardt’s ‘Minor Blues’ and the ‘Adagio’ from Rodrigo’s Concierto de Aranjuez, which features the beautifully melancholic flugelhorn of Bryan Corbett. And even that old crowd-pleasing chestnut ‘Take 5’ manages to burst out of its shell tasting surprisingly fresh. But, for my money, Bryan Lester’s own material is the reason to keep coming back to this CD, with both ‘Spanish Cinema’ and the four tracks that comprise ‘Heroes’, being real standouts. If you want the flavour of Spain and you love the guitar, then this is the musical equivalent of tucking into a plate of pan-fried chorizo. They bring a sashaying energy to the guitar tradition on their debut album, ‘Who Ate All The Tapas?’, occupying the ground where jazz, gipsy jazz, Spanish, Latin and flamenco meet. The dynamics are impressive, ranging from delicate cascades to roaring whorls of sound. Dazzling runs and glisses are propelled by belting chords, as the trio adapt Paul Desmond’s Take Five for strings and reclaim Rodrigo’s Concierto de Aranjuez for guitar. The album also contains striking originals by Gitano mentor and composer Bryan Lester. The only thing more beautiful than the sound of one guitar is the sound of two guitars. But three? ‘In terms of precedents, the immediate ones are Paco de Lucia, Al Di Meola and John McLaughlin,’ says Fekete. ‘Django Reinhardt also played with three guitars at once,’ reminds Johnson. 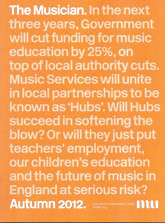 Click on the two images below to read the full ‘Taking Off’ article featured in the October ’05 edition of Jazzwise magazine. Three young, classically trained Birmingham guitarists are the scoffers of Who Ate All The Tapas? and Trio Gitano certainly seems to have ingested sizeable quantities of Latino tradition, with a few side orders of Romany, jazz and flamenco. Their sound is clear, delicate and – when appropriate – witty. They’ve clearly shared a musical table for more than four years and they’re well-served by composer-arranger Bryan Lester, whose Latin Swing is as fine an opening number as I’ve heard. But Trio Gitano are also brave enough to take on the greats: Django Reinhardt’s Minor Blues gets a sultry, light-fingered treatment that would have made the master anything but blue. This debut album from a young, London-based guitar trio, currently making waves on the concert circuit, is a commendable affair indeed. Sam Slater, Jamie Fekete and Sophie Johnson first met as members of the Birmingham School’s Guitar Ensemble, and a combination of musical versatility, above average talent and sheer hard graft has won them a loyal army of followers. A gruelling return journey via the M25 hadn’t managed to take the gloss off an invigorating performance. “We played there last year. It’s a lovely little town and the festival has a great atmosphere. Everyone is guitar mad. We had seven or eight hundred people there yesterday watching us,” said Sam Slater. Gigs like this are the cherries on the cake for the youthful combo – all its members are 23 – which has evolved over a decade out of the Birmingham Schools Guitar Ensemble. The bread-and-butter is provided by the weddings and corporate engagements which help to make the group a going concern alongside the members’ part-time jobs. “Bryan’s stuff is unique to us, so we know no-one else in the world is going to be doing it,” says Sophie. “He’s a published composer, and he writes a lot of exam pieces. All the rehearsals are at his house, and it’s good to have someone whose judgement you would trust. We’re all playing, so Bryan has a more objective opinion, and he knows our individual styles. “There was a time when I was going to go to Manchester, so it was really only a semi-conscious decision,” says Jamie. “It’s not like we said you’re not allowed to go to Manchester,” adds Sophie. Jamie and Sophie both studied English and philosophy and Sam history, and Sam says the fact they weren’t music students took pressure off them. “What’s nice about the group is that it’s evolved quite naturally, and when it happened we realised it hadn’t really happened like that for anyone else,” Sophie points out. Since they graduated last year the trio’s career has shifted into another gear. After playing around small venues at ArtsFest for several years they graduated to the main stage last year, in a sequence with Soweto Kinch and the CBSO which will be repeated on the Sunday night this year. Last month they opened Moseley’s L’Esprit Manouche festival, where they were already hawking advanced copies of their debut CD, which is officially released on August 22 on fledgling Birmingham label The Birds. 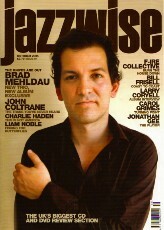 Featuring four original Bryan Lester compositions, including the four-movement Heroes suite, plus arrangements of the familiar Concierto de Aranjuez adagio, Django Reinhardt’s Minor Blues and Paul Desmond’sTake 5, the album reflects the fluid continuum of classical, jazz and gypsy styles the trio has evolved. “It’s a first album. We recorded it a year ago and it’s more a measure of what we had done up to then,” says Sam.